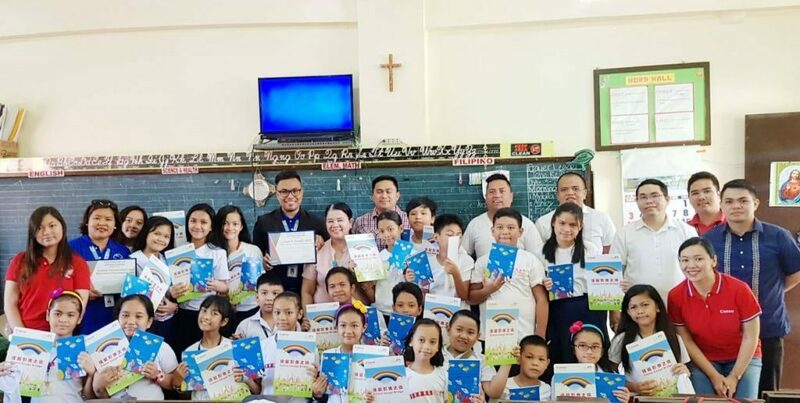 Group photo of the Elementary students of Camp lapu-lapu raising their image bridge photo cards and coloring books from CCEF, together with teachers, CCEF staff and Canon staff. 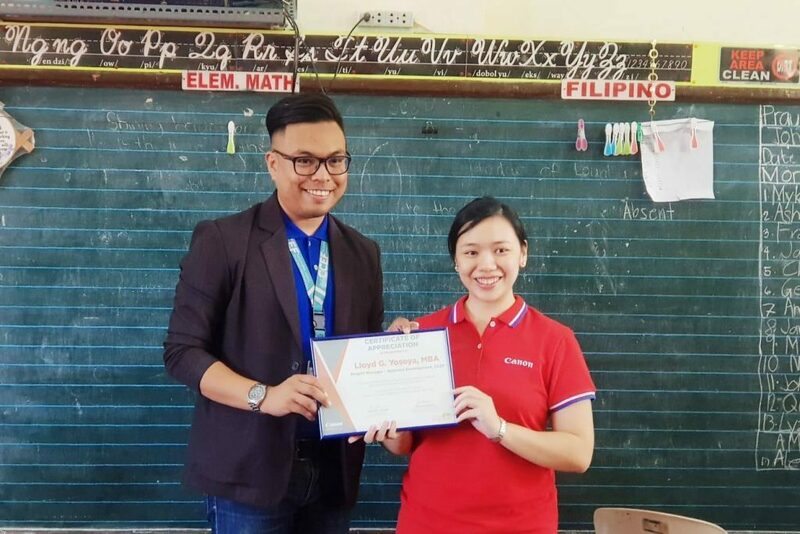 March 21, 2019— Canon Philippines had an image bridge photo class at the Camp Lapu-lapu Elementary School in Apas, Cebu City. The Image bridge photo class aims to teach children about photo journalism, and teaches them basic techniques in photography such as the rule of thirds, frames and using of apertures. To teach students the beauty of photography, they were given photobooks with pictures taken by students from Hongkong, telling them the story of the pictures they have taken. Elementary students taking a look at the pictures taken by their friends from Hongkong. At the same time, each student also takes a photo of some beauties here in Cebu City, such as the Magellan’s cross, Fort San Pedro and the Basilica of Sto. Nino. This photo exchange does not only help students learn skills in photography, but also in seeing the different environments from different countries through photographs. 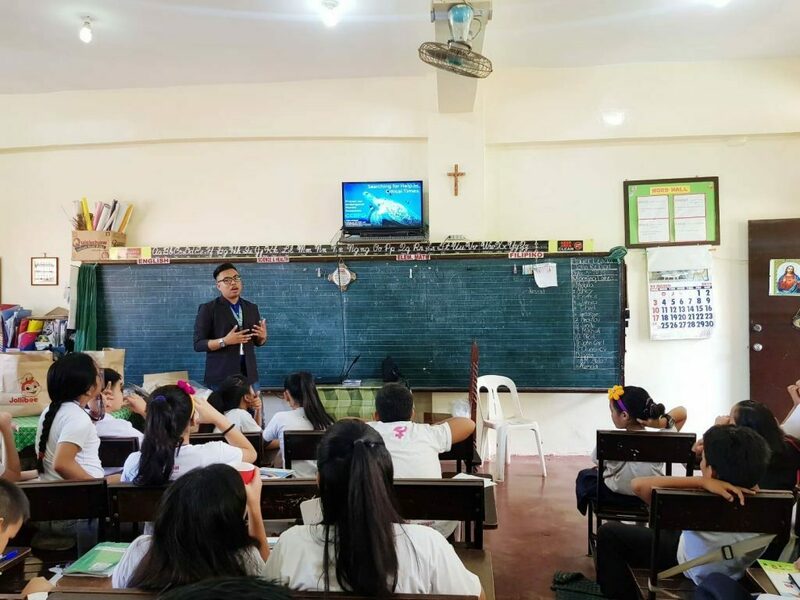 Lloyd Yosoya, CCEF Business Development Project Manager gives a short discussion to the children about Marine pollution; where it comes from and what they can do to help. Lloyd Yosoya , CCEF Business Development Project Manager gives a short talk on the Problem with Plastic. The discussion starts off on where our garbage goes, which to our surprise is already familiar to the students. The students were well-informed about our landfills being a source of pollution as well as the garbage reaching to our oceans even before it was mentioned during the discussion. But the short discussion also talks about the current situation of Cebu in its staggering amount of garbage (600 tons per day!) and the 5Rs, Refuse, Reduce, Reuse, Re-purpose, Recycle which the children could remember every time they see plastic. 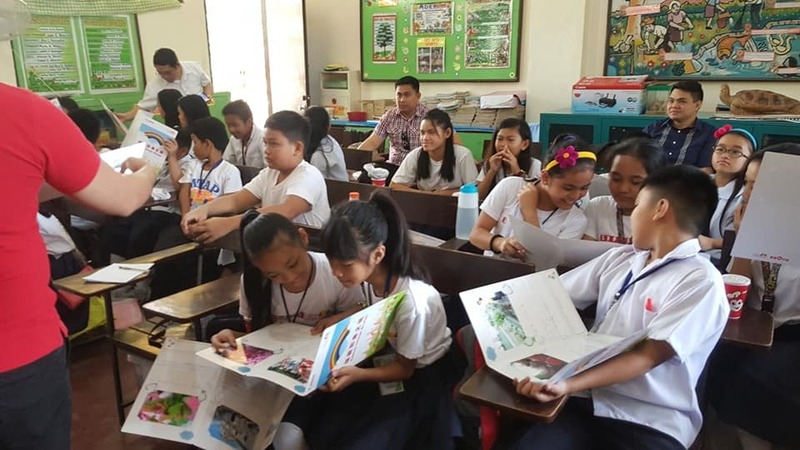 Afterwards, coloring books and pins were distributed to the children so they could learn to integrate fun things with conserving coastal and marine resources. After the discussion, Lloyd Yosoya was awarded a certificate of participation, as well as CCEF for sharing our resources during the event. Lloyd Yosoya receiving certificate of recognition and Pauline Estrada Communications Officer of Canon. 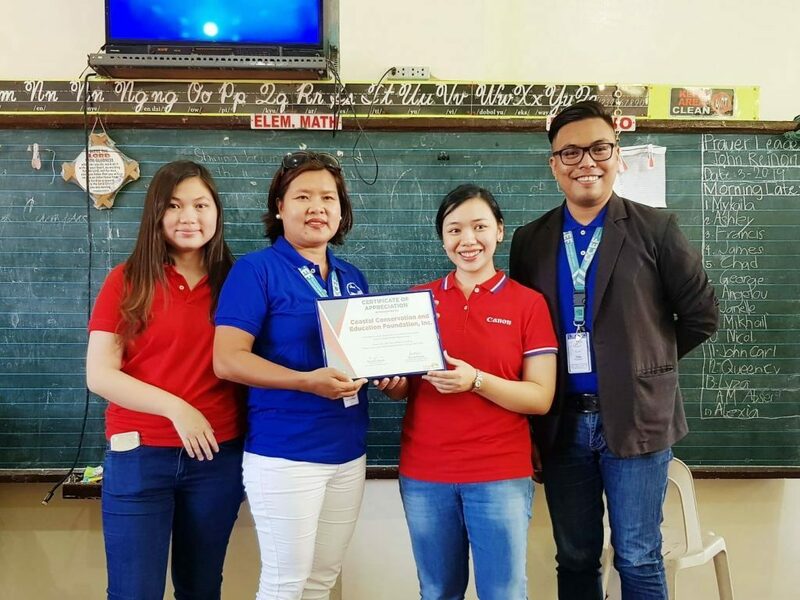 Receiving certificate of recognition by CCEF (Left to right) Alyza Noelle Tan, Business Development Project Coordinator, Pablita Huerbana, Admin Assistant and Lloyd Yosoya, Business Development Project Coordinator.